Smriti Irani said a 'Jan Ki Baat' programme has also been arranged so that the people can share their messages with the Prime Minister directly. The BJP has planned 'Modifest' in 900 cities across the country between May 26 to June 15. New Delhi: The ruling BJP has planned a grand 'Modifest' in 900 cities across the country between May 26 to June 15 to highlight the central government's achievements in the three years of the Narendra Modi government. Addressing a press conference here on Monday, Union Textiles Minister Smriti Irani said: "The government is going to celebrate the three years of the historic mandate it got in 2014." 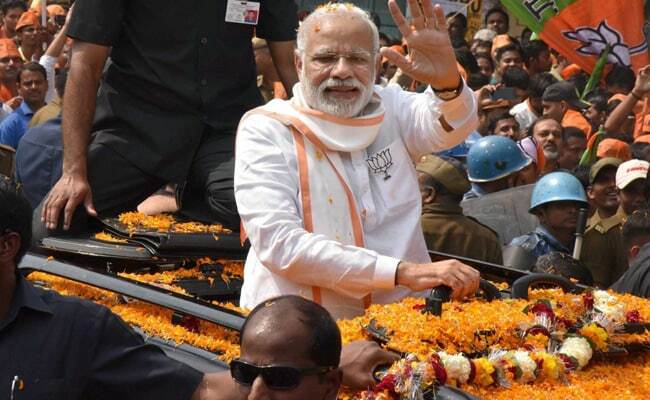 "In order to highlight the government's achievements under the leadership of Prime Minister Narendra Modi, a series of dialogue programmes would be held in 900 cities across the country between May 26 and June 15," the Bharatiya Janata Party (BJP) leader said. She said the programme, which has been named 'Making of Developed India' or 'Modifest', would be kicked off by Prime Minister Modi from Guwahati in Assam on May 26. According to the BJP, events across the country would also be addressed by Union Ministers, parliamentarians, BJP chief ministers, state ministers and several senior party leaders. Ms Irani said a 'Jan Ki Baat' programme has also been arranged so that the people can share their messages with the Prime Minister directly. "A 'Sabka Saath, Sabka Vikas' programme would also be held where the beneficiaries of the government's several schemes would participate," Ms Irani said. Senior BJP leader Arun Singh, who was present in the conference, said that several senior leaders of the party would attend the programmes. "The party has also organised intellectual summits in the cities in which the party's ministers would participate and interact with the people," he said, adding that a programme on Swacch Bharat Abhiyan has also been decided at every venue. Mr Singh said BJP President Amit Shah would attend the programme in Kerala between June 2-4, in Port Blair in Andaman and Nicobar Islands on June 6, in Chhattisgarh from June 8 to 10, and in Arunachal Pradesh from June 12-13. Union Home Minister Rajnath Singh will attend the 'Modifest' in Jaipur and Mumbai, while External Affairs Minister Sushma Swaraj would attend the programmes in Delhi and Lucknow, he said. Union Finance Minister Arun Jaitley would attend 'Modifest' in Bengaluru and Ahmedabad, Urban Development Minister M. Venkaiah Naidu will go to Bhubaneswar and Chhattisgarh, while Railways Minister Suresh Prabhu would participate in the events in West Bengal and Madhya Pradesh.